Warhammer World Apocalypse trip update! 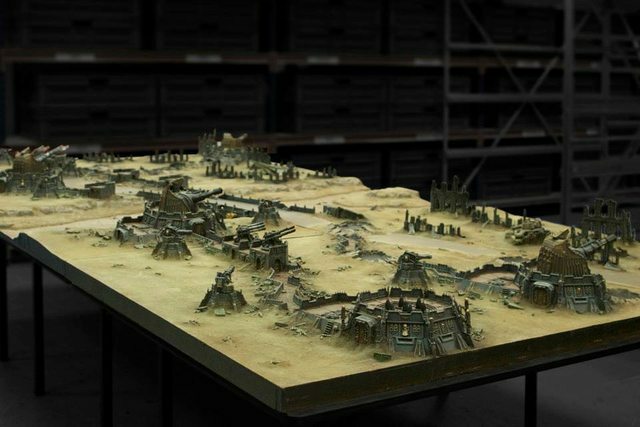 THIS, gentlemen, is the table we will be playing on! October 25, 2013 in Apocalypse, Upcoming. October 24, 2013 in Apocalypse. Upcoming Warhammer World Trip: Apocalypse! October 22, 2013 in Apocalypse, Upcoming. The trip to Warhammer World tday was fun, even if we didn’t get any time to play on the awesome tables that are set up but we spent a lot of time wandering around, buying a few things here and there and enjoying ourselves. Met up with a goon from Something Awful and got far too many White Dwarfs, so plenty of fresh reading material! If you’ve been on blogs and whatnot it’s probably everything you’ve seen before but seeing everything in person was really cool. October 19, 2013 in Just Kinda Cool. October 14, 2013 in Just Kinda Cool. Space Hulk PC game on sale! Search for it on Steam! £15 And yes it will play on Mac! October 13, 2013 in Just Kinda Cool, Non-Tabletop Game.